These are listings of current activities in San Diego that our girlfriends can get involved with outside of a specific event. Linda’s Gift Open House Party – Come, Donate, Shop, and enjoy Treats at Linda’s Gift Open House. Tuesday, November 13. All donations will benefit Girlfriends Care’s partners and Breast Cancer Angels. Click here for more details. Br. Benno’s Volunteer Blitz – It’s time to sign up for one of our most popular events of the year in support of Brother Bennos. Volunteers are needed to help the homeless, working poor, and those in transition who are served by Brother Benno’s! For more details, click here. Solutions for Change’s Breaking and Entering – Girlfriends Care will be bringing Christmas cheer to their newest residents in the Intake Action Center on Friday November 30. Help is needed with providing small gift items and decorations as well as hands-on decorating help. This is a 36 bed facility, plus infants, so many hands and hearts are needed and welcome! For more information contact Terri Williamson at info@girlfriendscare.org or Ellen Clark at ellen@girlfriendscare.org. Boys and Girls Club Vista – Contact Ellen Clark ellen@bgcvista.com. Available after school on a weekday? Consider leading a special one-time craft, story, “show”, or music session this holiday season! Do you enjoy planning events? The Boys and Girls Club is also looking for two dedicated 2019 Gala Committee Members to help plan and execute their annual fundraiser. Grandmas Care Winter Project – Grandmas, it is time to start collecting hats, scarfs, gloves for Christmas. Please email Rosita for details. Bread of Life -Come join us on October 13th for Second Saturday at Bread of Life. We will make lunches for their guests and learn more about how Bread of Life is making a difference in Oceanside. The Boys and Girls Club needs volunteers to help with Special Events on September 27 and October 28, 2018 including planning, preparation, set-up and during the events. Want to work directly with the kids? Programs volunteers are always needed for art, reading, computer lab, fitness, or play. 5th Walk for a Cause – Join Linda Nickey on October 27 for a Walk for a Cause in San Diego. For a suggested donation of $25, enjoy time with girlfriends, the fresh air, and champagne/snacks afterward. All proceeds go to the San Diego Food Bank. For more info, click here. Carlsbad Cares & Shares – Our largest Girlfriends Care donation collection event is coming up on October 24th. Help us spread the word of Girlfriends Care while collecting donations that are needed by many of our partners. Sign up to help here. Carlsbad Village Faire – Girlfriends Care will continue to collect donations at the Carlsbad Village Faire on Sunday, November 4th. Sign up to help here. Got Your Back San Diego – Volunteers are needed to deliver backpacks to local schools on Thursday mornings at 9am. If you would like to help, please contact Bill M at bill@gotyourbacksandiego.org 760.845.7789. Bread of Life– Serving the homeless in North County. Volunteers are needed for various projects. To find out more go to website bolrescue.org or contact bolrescue@gmail.com. Donations of food and paper products are in need! One of our GFC partners, Shining Stars, in conjunction with San Diego County’s Anti-Human Trafficking Community, will be at Comic-Con distributing cards with information about human trafficking and tips on how to get help. They are in need of volunteers willing to distribute these cards on July 20th or July 21st (a variety of 2 hours shifts are available). Grab a friend and join Shining Stars in bringing awareness and help to the visitors at ComicCon, while enjoying the spectacle that is ComicCon. You can sign up for a day and time that works best for you here. 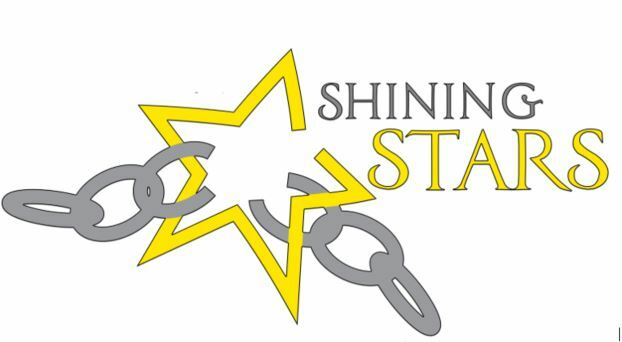 For more information, please contact ncshiningstars@gmail.com. Shining Stars – COMIC CON StreetReach July 20 & 21st – Help spread the word that America’s Finest City does not tolerate human trafficking and sexual exploitation by distributing tip cards during Comic Con. Grab a friend or two and sign up here. Grandmas Care – Summer Flip Flop and Sunglasses Drive – Help our Grandmas Care girlfriends collect flip flops and sunglasses for children of all ages and women in transition. Our goal is to collected 60 flip flops and 60 sunglasses to be distributed mid July. Contact Rosita at GrandmasCare@girlfriendscare.org for more information. OZ/TAY – Contact Charity (cbrant@ymca.org | 559-349-1606) regarding the following opportunities. YMCA Youth & Family Services Community Help Days – The YMCA is remodeling a home in coastal Oceanside that they are opening up to get homeless young adults off the streets. They are looking for volunteers to help Saturday, June 16th in the below areas (expertise in these areas a plus but not required!!). Contact Charity (cbrant@ymca.org | 559-349-1606) to RSVP for a three hour time slot (9am-12pm, 12pm-3pm, or 3pm-6pm) and she will send you the address. BIG ITEM: OUTDOOR COVERED DOG RUN or gift card to purchase one! Boys and Girls Club Vista – Summer Camp starts June 8 and will go through August 10. For more information on the below opportunities, please contact Theresa at: theresa@girlfriendscare.org or Ellen at ellen@bgcvista.com. Arts/Crafts- help staff with art projects during summer camp and/or design and lead one of your own! Sports/Playground assistance- lead the kids in fun, fitness activities or supervise them on the playground! Have a special game or sport you’d like to share with the kids? We love new activities! Background checks are required for volunteers over 18 working with the kids, application provided by the Club. Monarch Schools – We are collecting traditional school supplies (e.g. crayons, markers, glue, notebooks) as well as basic necessities such as ankle and basketball socks of all sizes and packs of underwear for back to school season at Monarch School. Monarch Schools provides a safe, caring environment for learning for children facing homelessness in San Diego. You can bring your donation to any Girlfriends Care meeting or contact us at info@girlfriendscare.org to schedule a pickup/drop-off. Serve Dinner at Solutions for Change – Solutions for Change has re-opened their old shelter location in Vista so they are now supporting two separate in-take shelters. Volunteers are still needed to provide dinner to residents at the old shelter (no more than 40 people). If you would like to serve dinner, please sign up here. Homeless Street Teens and Foster Youth Aging out of the system – Donate non-perishable snacks or socks to be handed out to the homeless teens through YMCA Youth & Family Services. Bring to the next Girlfriends Care meeting or drop off at any of our drop off locations or contact MaryAnn at mgraham@ymca.org. Toothpaste (non-whitening), and Dental Floss. Kits will be assembled at our 1st Saturday meeting on May 5th at Serra Mesa-Kearny Mesa Library Community Room. Contact Laurie@girlfriendscare.org for more info. Help us collect disposable diapers for our annual Diaper Derby for the mother’s at the Family Recovery Center! FRC is always in need of all sizes of disposable diapers. Many Babies and Many Moms! Bring them to the 2nd Saturday meeting on May 12th or email Passion2Serve@girlfriendscare.org for the drop sites. Deadline is May 12, 2018. Watch for our communications and Join In! Our Next Gift Bag Building and Distribution will be on May 12th at the Family Recovery Center! We collect year round for the gift bag outreach. Please keep this in your heart and join in with contributions for the bags. Please take a peek at the “GFC Gift Bags for Women in Need” section in our ongoing projects for details of items needed! Sort and prepare donations, pick up donations, help to procure, prepare auction materials, etc. Help prepare auction baskets and other items for the event. Training for registration and check-out volunteers. Event assistance including registration, check out, auction spotters and wine-wall. Arrive at 4:45pm. End times vary from 7:00pm-11:00pm depending on area of assignment. Have a few minutes to pick up and deliver items directly to those we help? Please notify Girlfriends Care at info@girlfriendscare.org that you would like to help when an opportunity comes up! Boys & Girls Club of Vista – For more information on the below opportunities, please contact Theresa at: theresa@girlfriendscare.org or Ellen at ellen@bgcvista.com. Love working with kids! Join Weekday afternoons from 3:00-5:00pm: Afterschool Activities with the Kids (requires background check); assistance needed in tutoring, coaching, reading, art, athletics, math, science, computer, music, and on the playground. Love kids, but not hands on? Volunteers needed Weekday mornings, afternoons and occasional weekend dates for help with Administration and Special Events. HERE ARE SOME CURRENT OUTREACH PROJECTS IN NORTH COUNTY THAT MAY HAVE YOUR NAME ON THEM! Contact Info@girlfriends.org for more information or to sign up! Monarch Schools – We are collecting $25 gift card to Target and warm hooded sweatshirts for Monarch School. Monarch Schools provides a safe, caring environment for learning for children facing homelessness in San Diego. If you can bring your donation to the December meeting or contact Kathy at kathy@girlfriendscare.org to schedule a pickup/drop-off. Just in Time for Foster Youth – Help transitioning foster youth at Just in Time, who lack family support, turn their empty apartments into safe and comfortable homes with gift cards valued from $5 to $50 to Walmart, Target, or similar. Drop them off at Just in Time with Nathan – 619-677-2119 or contact Kathy at kathy@girlfriendscare.org. Ronald McDonald House – We are collecting paints, books, art supplies, puzzles, travel sized board games and card games for children 4-8 years old who are going through treatment at Rady Children’s Hospital as well as their siblings. You can bring these items to any GFC meeting or make a donation for this project through Girlfriends Care, P.O. Box 1820, Carlsbad, CA 92018. Tax deductible receipts upon request! San Diego Food Bank – Participate in the Food Bank’s Holiday Food Drive and help feed those who will face food insecurity this holiday season. Donate a $5 Pre-filled Hunger Bag at Vons, donate money or food online, or host a community Food Drive. Follow this link or more details. Buy unique gifts and support Girlfriends Care. viaONEHOPE has partnered with Girlfriends Care to provide special pricing on their wine by the half case or full case just in time for Christmas shopping! They also have many gift box options, including some non-alcoholic options, to make your gift a little extra special. 10% of all purchases from case, half case, and gift boxes $49+ will be donated back to Girlfriends Care. For more details, visit Girlfriends Care’s special ordering page at http://www.morethanabottle.com/girlfriendscare . Carlsbad Care and Shares! – Volunteers needed to prepare and assist in the largest single donation opportunity Girlfriends Care supports for our communities! Sign up for shifts Oct 8, 9, 10 or 11th. Signup here or contact Carol@girlfriendscare.org. Carlsbad Street Faire -Volunteers are needed for 2 hour shifts throughout the day on Nov 5th to collect donations as well as share the Girlfriends Care mission and encourage our community to get involved. Signup here or contact Carol@girlfriendscare.org. Monarch Schools – We are collecting Halloween costumes for Monarch School students from Kindergarten to 12th grade. Monarch Schools provides a safe, caring environment for learning for children facing homelessness in San Diego. If you have a donation, please contact Kathy at kathy@girlfriendscare.org to schedule a pickup/drop-off. Volunteer Action for Aging – Service Program to promote socialization and over-all well -being of seniors. Contact tpowell3@scanhealthplan.com for more information. Volunteers Needed – 10/30/17: 1:00-3:00 in South Clairemont, 92117: Doggie Costume Contest for residents of senior housing. Assist with judging, prizes, refreshments and fun! Warm “Soles” by donating slipper socks to be distributed to seniors in need of cheer. Donations can be dropped off at the Carlsbad Shares and Cares event on October 11th between 10:00am and 3:30pm . Collection boxes will be located at Linda’s Gifts in the Village of Carlsbad: 300 Carlsbad Blvd #115, Carlsbad CA 92008. Other drop off/pick up times may be arranged. GFC Gift Bags for women in transition. Laurie is always collecting items such as body wash, lotions, unused make-up, costume jewelry, gift cards, small journals, pens, and other girlie items to make them feel pampered and pretty! Bring your donations to our next meeting or email us. Monarch School. We are collecting hygiene items for this amazing school that provides a safe, caring environment for learning for children facing homelessness. They are in need of toothbrushes, toothpaste, deodorants, full size shampoo, conditioners and body wash. Bring these items to any GFC meeting. Jessica’s House of Hope – Support the women and children in their journey to become independent and self-sufficient! Mail financial support to Girlfriends Care, P.O. Box 1820, Carlsbad, CA 92018. Tax deductible receipts available upon request! Carlsbad Care and Shares! – Volunteers needed to prepare and assist in the largest single donation opportunity Girlfriends Care supports for our communities! Sign up for shifts on Nov 5th (Street Faire) or Oct 8, 9, 10 or 11th (Village event). Signup here or contact Carol@girlfriendscare.org.